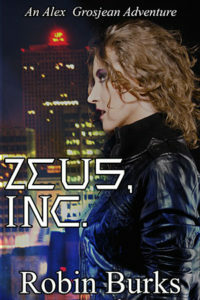 Robin Burks | Zeus, Inc. now available! It will also soon be available on iBooks. If for some reason, though, you are unable to purchase a copy of the book (or live in a part of the world where it’s not available), please let me know. I would gladly take payment via PayPal and send you a copy via email. Also, keep an eye on this space, I’ll be introducing other characters from Zeus, Inc. in the days to come.